If we told you there are a handful of buy-now, wear-forever pieces that clinch the cost-per-wear ratio and provide a future-proof foundation for just about any look, no matter when you buy them? 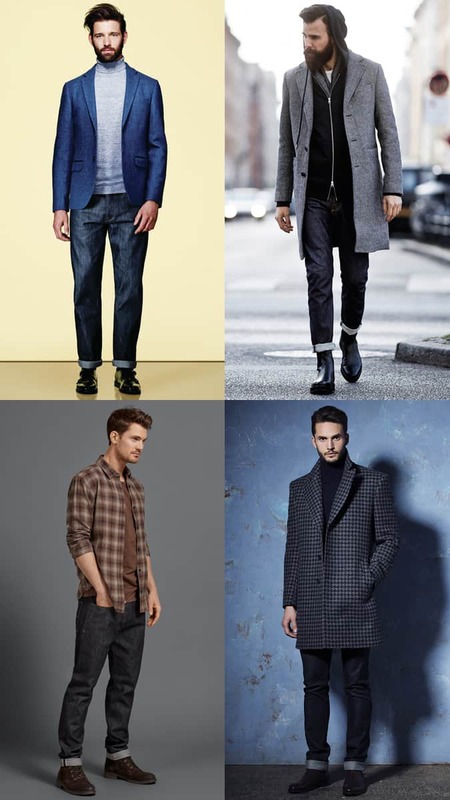 That’s what we’re about to do, with a guide to the classic pieces no foolproof wardrobe is complete without. 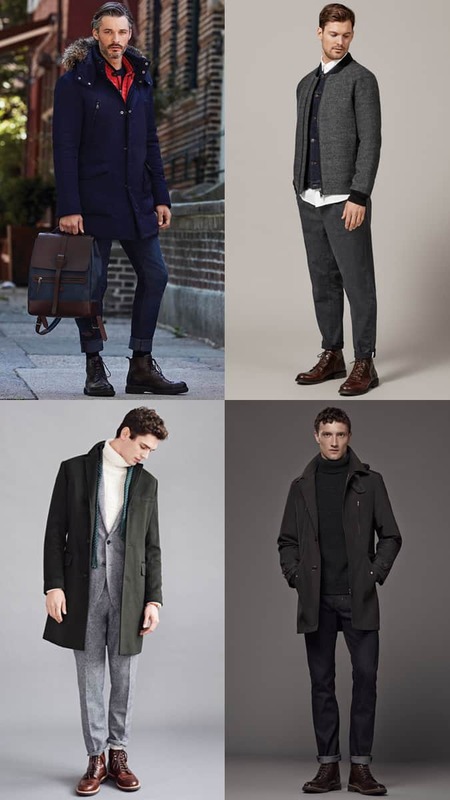 When the mercury dips, the savvy dresser’s first thought should be whether he is equipped with a winter coat in which he can look good, even when the weather’s not. 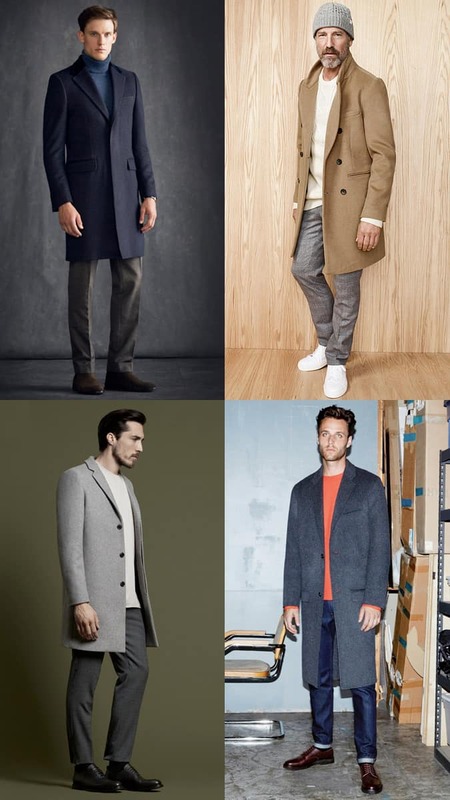 An overcoat is the most versatile option, striking a balance between form and function whether on- or off-duty. Manmade fabrics don’t fare well in the rain so plump for 100 per cent wool, which can absorb 35 per cent of its own weight in moisture without feeling wet. If monsoon season pushes it past that point, leave the coat to dry naturally overnight. And consider investing in an umbrella. 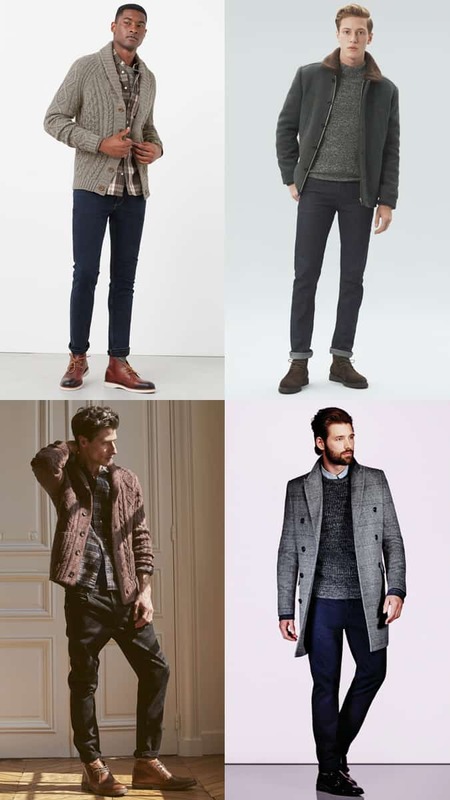 Winter is often a dark affair, so your jeans should match. White styles had their time in the sun (quite literally), but deep indigo and black shades pair best with bruised skies. Selvedge denim is hard-wearing and (so long as your jeans are cut slim, and you’ve ignored the trend for torn knees) works just as well with a double-breasted blazer as a crew neck sweatshirt. There’s a reason skin is ‘in’ every winter, mainly because of its ability to keep its wearers dry, warm and looking unashamedly masculine. With the seventies trend going strong in club menswear, the most handsome styles also come packing shearling linings for added ballast. 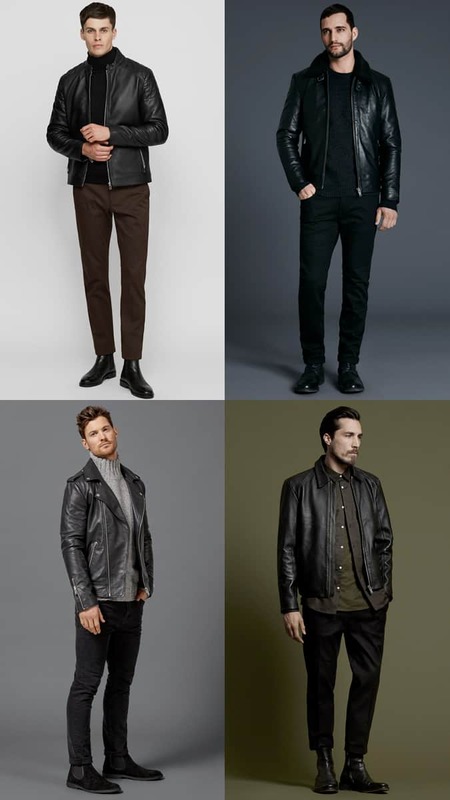 However, don’t rely on hand-me-downs to get the look; vintage leather jackets are cut boxy, rather than in the sleek fits that allow them to pair just as well with a shirt and trousers as they do jeans and wet-weather boots. 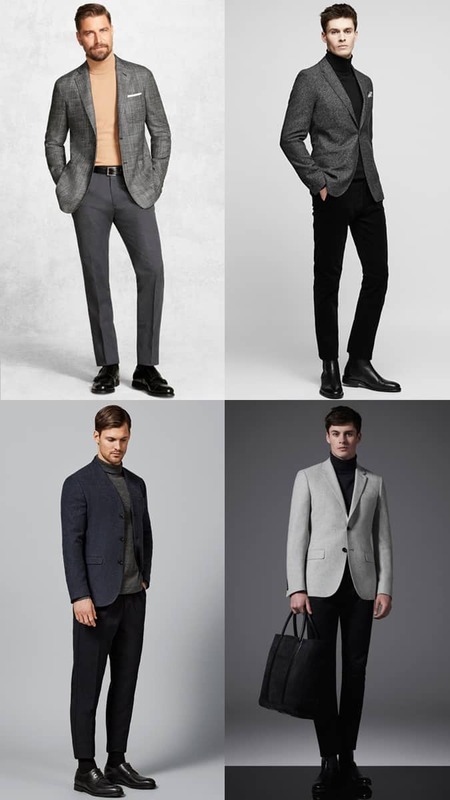 When it comes to suiting up for the season of slush, one fabric reigns supreme: wool. Capable of keeping you warm while looking cool, unlined examples at the lighter end of the weight scale are also breathable enough for year-round wear. In addition, much like flannel and tweed, wool is known for possessing a much duller sheen when compared to other materials, making it ideal for dressing down while still being suitable for a spectrum of smart occasions. Lightweight knits are an excellent way to layer up during the transitional months, but when days get colder than a brass toilet in the Arctic, upgrade your knitwear arsenal to heavier gauge pieces. A waffle or cable knit jumper will provide added ballast against the elements and inject some seasonally-appropriate texture into your looks, while a thick shawl collar cardigan can make for a stylish alternative to a blazer over a shirt and tie. Harsh conditions can strike sporadically any time from around September, so a pair of smart, sturdy winter boots should always be on hand. But it’s when winter hits in full force that a step up is needed. Vitali Bramani invented Vibram soles after six of his companions died on a mountain climb in 1935 due to inadequate footwear. While it’s unlikely you’re readying for an expedition to anywhere other than the office or the pub, a durable boot with a dense rubber Vibram, danite or commando sole can ensure that neither you nor your winter style takes a tumble.